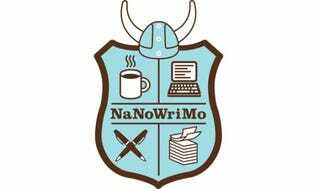 Can You NaNoWriMo If You Don't Want to Write a Novel? My answer, at least, is yes. I’ve tried, folks. For the last three years, I’ve tried to challenge myself to sit down and write the next Great American Novel and it just doesn’t happen. For one thing, I have no ideas — which is kind of essential, according to my actual writer friends. For another, I don’t really want them. I almost feel like if I did have an amazing idea, it would be somewhat squandered on me. I’d rather give it to an actual novel writer because fiction has just never been my thing. But even if I’m not cut out for novel-writing, I still love to write. And at its core, what NaNoWriMo is really about is showing writers that they can find the time to sit and write 50,000 words in a single, not particularly special, month. And if it’s possible to churn out 50,000 words in some random month of the year decreed by the NaNoWriMo gods, then obviously it’s possible every other month of the year — if you want it to be. Writers’ retreats and dreams of large windfalls of money that render a desk job obsolete are the daydreams of people who’ve convinced themselves that they just don’t have time. But if, like me, you had the time to watch all seven seasons of Doctor Who in two months, you probably also have the time to write. This is a very long way of saying that this year, my NaNoWriMo is my blog. I keep talking and talking about setting a regular posting schedule, or reviewing all of the books I’ve read over the last year, and it just doesn’t happen due to laziness. So this month, at least, I’ll try to write 50,000 words worth of blog posts — and hopefully some of what I get down will be worth your time. In any event, please do let me know below whether or not you’re participating this year, and why.